New owners of Frontier Communication’s former downtown headquarters are hedging plans that their first tenant — one of the largest banks operating in the Rochester area — will lure others to the formerly vacant building. 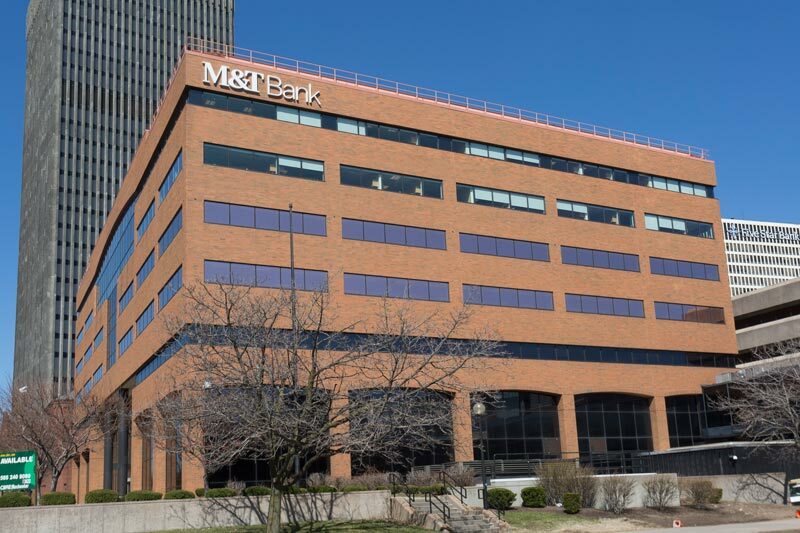 M&T Bank plans to relocate its regional headquarters in March from East Avenue to 3 City Center, a roughly 200,000-square foot building at 180 S. Clinton Ave. The Buffalo-based bank said it signed a lease earlier this month with Three City Center Partners to move roughly 225 workers to the seven-floor building near Xerox and Legacy towers, The Metropolitan and Tower280. Those are all properties purchased by local developers and financed by M&T, in some cases for millions less than original construction costs. For example, the bank provided a $36.5 million loan roughly two years ago to Buckingham Properties for renovations at Tower280. The high-rise is now roughly 90 percent full with few commercial, retail and living spaces left to fill.